Is there something much cooler than get mangas and merch to low prices? Yes there is! : food and drinks. We would like to offer a large range of different things. In addition to our own Maid and Butler Café, the Rainbow Cake, we also work together with various external caterers. The menu of the Rainbow Cake for the Anime Flea Market 2018 can be found below. 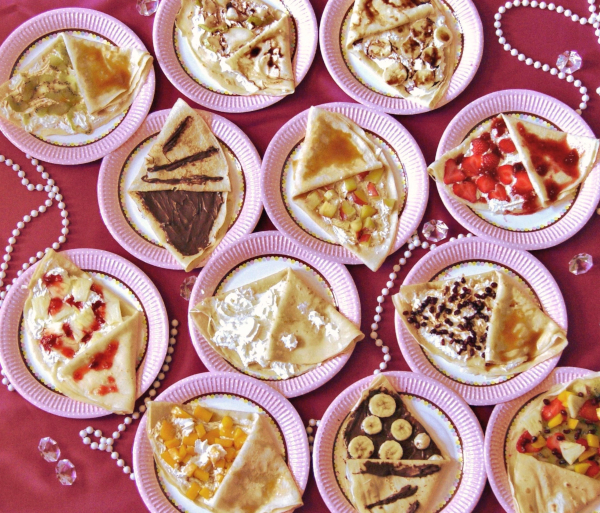 A special highlight is our extensive selection of crepes. Besides common toppings like sugar-cinnamon we have different variants with fruits. How about a mango caramel crepes or pomegranate chocolate?